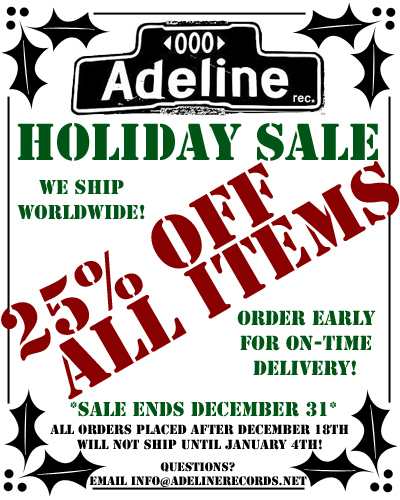 The Adeline Records store is having an online sale. Everything in their store is 25% off, and the discount will be applied as you check out. Now's probably a good time to check out their awesome Green Day vinyl's and posters. The sale is through December 31st, order early if you want to get items before the holidays. Billie Joe is expected to join a handful of other artists talking about their memorable Grammy experiences on "My Night At The Grammy's" which is airing Friday night (Nov. 30) at 8pm on CBS. The show is a celebration of the Grammy's 50 years with the top 25 Grammy moments voted on by viewers.